FamilyFarmed is pleased to have Read It & Eat, Chicago’s culinary bookstore and teaching kitchen, as its bookseller at the annual Good Food Festival, which takes place Saturday from 10 a.m. to 5 p.m. in the UIC Forum on the University of Illinois at Chicago campus. • 11:30 a.m.-12:15 p.m.: Rick Bayless, famed for his regional Mexican cuisine at Chicago’s Frontera Group of restaurants and for his long-running public TV show, “Mexico: One Plate at Time,” will sign his “More Mexican Everyday,” the latest in his long series of cookbooks. Bayless’ signing will follow his chef demo at the Festival. He is a longtime champion of sourcing local and sustainably produced ingredients for his kitchens. •12:45-1:30 p.m.: LaManda Joy of Chicago’s Peterson Garden Project will sign her book, “Fearless Food Gardening in Chicagoland: A Month-by-Month Growing Guide for Beginners.” Joy will also participate in a Festival panel on Grassroots Food Activism at 10:30 a.m., and Peterson Garden Project will hold a seed swap in the Good Food Concourse. • 2:45-3:30 p.m.: Authors Hannah Crum and Alex LaGory will sign their “The Big Book of Kombucha,” after they participate in a Brew Your Own Kombucha workshop at 1:30 p.m.
To get us ready for the Good Food Festival’s literary side, Esther Dairiam, owner of Read It & Eat has contributed a pair of articles about the best cookbooks of 2015, following the “Piglet Award” contest staged by the Food52 website. In her first segment, published by Good Food on Every Table March 15, Esther analyzed all 16 books in the competition and compared her own impressions with those of the contest’s judges. In the second installment below, she provides her perspectives on the Final Four. You’ll have to read to the end to find out which book won! Read It & Eat, which opened in May 2015, is located at 2142 N. Halsted St. in Chicago’s Lincoln Park neighborhood. Come meet Esther at the Good Food Festival, then visit her store. 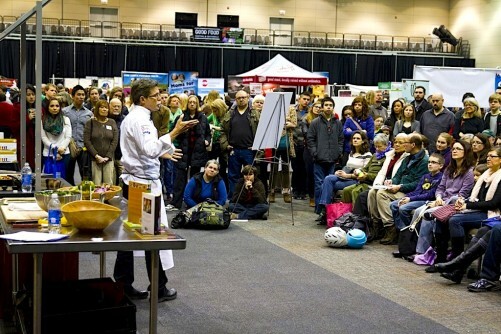 To learn more about the Good Food Festival & Conference, click here. To purchase tickets, click here. When I wrote the first article for Good Food on Every Table about the best cookbooks of 2015, I started by asking, “What makes a cookbook good?” To answer this question, we followed the Piglet award competition, a bracketed contest that paired off 16 books in a March Madness-style competition. We also ran an in-store competition at our Read It & Eat culinary bookshop in Chicago that mirrored the Piglet awards — using the same rules that the actual judges were asked to use — and two customers who correctly predicted the winner each received a copy of the book. Note: Before I continue with the rest of the article, I want to acknowledge that it is incredibly hard to write a cookbook. It takes a lot of talent and sweat to pull together a series of recipes, plus you are putting your personal story out there for people to read and judge. With that in mind, I hope the authors of these 16 books realize that as I made their recipes and wrote my evaluations, I have only the utmost of respect for them. At the start of the competition, my pick to win the Food52 Piglet contest was The Food Lab by J. Kenji Lopez-Alt — which lost in the quarterfinals (insert unhappy face here) to Made in India by Meera Sodha, a book that I thought wouldn’t make it past Round One. In fact, only six of my picks made it to the quarterfinals. So if we’re all using the same evaluation criteria, why did we pick different books? Let’s examine the judges’ feedback in each round of the two books that made the finals. Round 1 (vs. Gjelina by Travis Lett) — The judge picked Made in India because it taught her how to do something new — it taught her how to cook perfect rice every time and because it provided an ice cream recipe that didn’t require the use of an ice cream maker. She said as she read Gjelina, she found herself thinking that she really wanted to eat there instead of cook from the book. 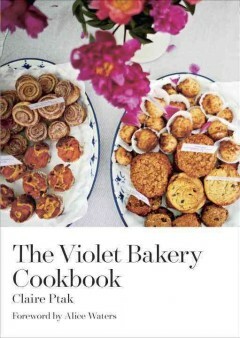 The Violet Bakery Cookbook made the semifinal round of Food52’s Piglet Award competition between the 16 cookbooks the site selected as the best of 2015. Quarterfinal Round (vs. The Food Lab) — The judge didn’t like the voice and the science behind The Food Lab and liked how Made in India is written with its tips for how to compose a menu and build your spice pantry. Read it & Eat’s View — I think that Made in India made it as far as it did in the competition because it catered to its audience and delivers on the author’s promise to make Indian food accessible to others. She does just that with her easy-to-follow recipes and her suggestions on how to compose a menu while adding to the repertoire of many cooks across the world. Quarterfinal Round (vs. My Kitchen Year by Ruth Reichl) — The judge in this round found The Hot Bread Kitchen full of easy-to-follow and practical recipes rich with explanation about what works best when combining flours and oils and salts. While he loves My Kitchen Year, the Hot Bread Kitchen Cookbook was the winner of this round because it was an unpretentious book on how to bake rich with culture. 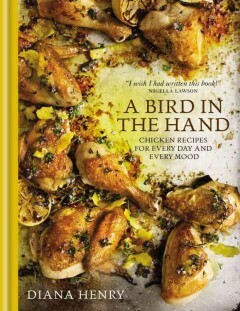 Semifinal Round (vs. A Bird in the Hand by Diana Henry) — The judge found the recipes from A Bird in the Hand easier to make and follow and gives you the impression that she found The Hot Bread Kitchen Cookbook annoying to cook from. In the end, she picked The Hot Bread Kitchen Cookbook because the recipes were tastier. 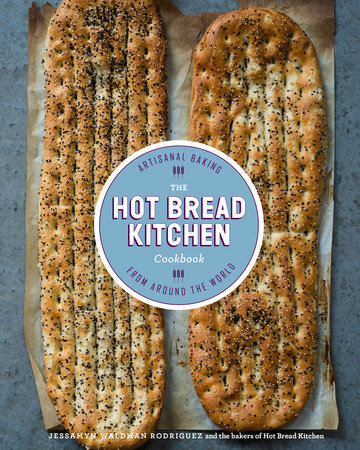 Read it & Eat’s View – I do like The Hot Bread Kitchen Cookbook very much. I didn’t think that the book would make it past the quarterfinal round as My Kitchen Year is such a great book and to me is a combination of a biography and cookbook. In the end, The Hot Bread Kitchen Cookbook made it as far as it did because it touched its readers on many levels, both with its recipes and celebration of differences. The judge in this final round loved both books. 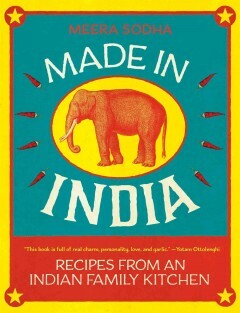 With Made in India, he loved the voice, composition and that the recipes taste like they are fussy but are not fussy to make. In contrast, the judge didn’t like The Hot Bread Kitchen when he first looked at it, but changed his mind quickly as the book is very motivating to novice bakers and the recipes are delicious. Well-liked by the judges for the easy-to-follow recipes that teach new skills, Made in India was the runner-up in the Food52 site’s Piglet Award competition for best cookbook of 2015. Add to that, the amazing story the book has to offer and the winner (in a photo finish) of the 2016 Food52 Piglet competition is The Hot Bread Kitchen Cookbook! Congratulations to Nicole and Lauren for picking the winning cookbook as part of our in-store competition. And the winner of Food52’s Piglet award for best cookbook of 2015 is … The Hot Bread Kitchen Cookbook. • Catering to your audience and delivering what your book promises is a must. • You have a better chance of winning if your audience (or the judge) learns something new from your book. 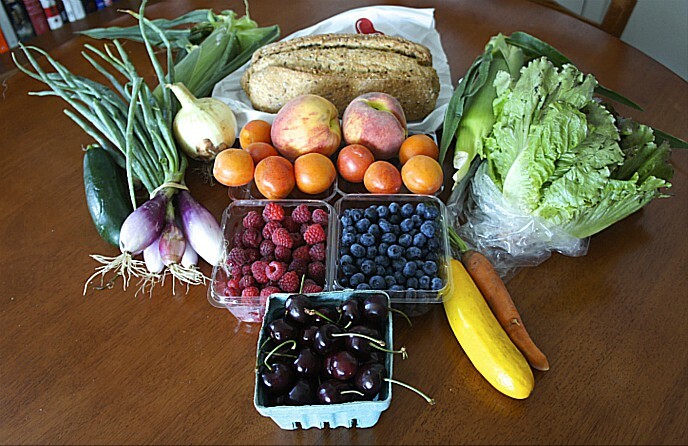 • Writing a book that uses seasonal ingredients puts you at a disadvantage if your book is being judged off-season. • Writing easy-to-follow recipes is important. Many chefy/restauranty books may find themselves at a disadvantage when being compared to a book for the home cook by a home cook because of this. • Hard-to-make recipes that are delicious will win over easy-to-make less delicious recipes. • People who live in New York City apartments like to complain about the lack of kitchen space and kitchen equipment that they have. • Books with compelling stories are more interesting to the readers. • Don’t criticize the way grandma used to make it — unless you want to lose. • Everyone says that aesthetics are important in a cookbook, and yet only two judges mention that in their evaluations. What does all this mean, then? Yes, aesthetics, recipe writing, voice, feel and composition are all very important aspects of a cookbook, and at the same time, just like taste for the food and drink that we enjoy is driven by personal preference, what makes a cookbook good for one person may be different for another person. So the next time you ask us for our favorite cookbook, be prepared for us to ask you the same! This entry was posted in Cookbooks, Food Artisans, Food education, Good Food Dining, Good Food Festivals, Good Food literature and tagged A Bird in the Hand Cookbook, Eat Mexico Cookbook, FamilyFarmed, Food52, Frontera restaurants, Gjelina cookbook, Good Food Festival, Good Food Festival & Conference, LaManda Joy, Made In India cookbook, My Kitchen Year book, Peterson Garden Project, Read It & Eat bookstore Chicago, Rick Bayless, The Big Book of Kombucha, The Food Lab cookbook, The Hot Bread Kitchen Cookbook, The Violet Bakery Cookbook. Bookmark the permalink.